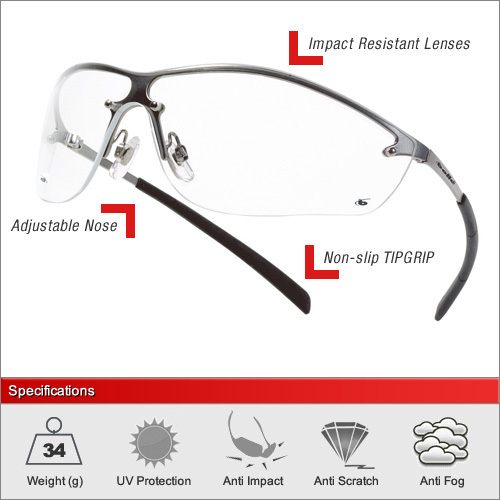 The Silium is officially the best selling pair of safety glasses in the UK. It is easy to see why. They look fantastic and incorporate both anti-scratch and anti-fog lenses. Please note that these are not T - rated for resistance against impacts at extreme temperatures. Please see our other models such as the Contour if you are working in such environments. We have 2 lenses available in this frame. 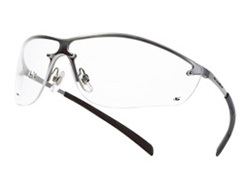 Clear lenses still provide 100% UV protection with maximum clarity. The smoke lense will take away the bright glare that can distract one and cause headaches (ideal for direct sunlight and other bright conditions).